Interest rates are historically low these days. This includes loans taken out for mortgages, corporate bond issuances and really any type of borrowing. The 30-year fixed rate on mortgages is currently hovering around 3.6%, while corporations are issuing debt for well below 2%. With interest rates so low, there is a solid chance that inflation levels will eventually exceed these rates. Below are five strategies to keep rates low and, theoretically, borrow for free. Facebook founder Mark Zuckerberg reportedly recently refinanced into an adjustable rate mortgage on his home for just over 1%. It has been said that borrowing below the rate of inflation is effectively free because inflation erodes the value of debt over time. The new rate apparently had a term of 30 years and the refinanced amount was just under $6 million. Reporters were able to obtain the details from public records, and there isn’t much insight into why he received such a favorable rate. However, with an overall net worth estimated close to $16 billion, he can obviously cover the entire loan principal on this house and more than 2,000 others. Given this cushion, the bank was probably quite comfortable making the loan on favorable terms. Speaking of banks, they can be willing to offer generous loan terms for wealthy customers that use a number of its services. For instance, they can drop an interest rate on a traditional mortgage or similar loan when a customer also uses its private wealth management services. A bank may be willing to look at what it makes on the overall relationship and, like a retail store, can use loss leaders to entice potential customers into more profitable products. Another way to take advantage of low-interest rates is to profit from carry trade candidates. A carry trade consists of borrowing from a country that has low-interest rates and using those proceeds to invest in another country that has higher rates. There is clearly the risk that interest rate differentials shift, and there is also a big risk to be taken if the borrowing and lending must first involve converting into the respective country’s currency. There’s also the risk surrounding the uncovered interest parity theory, which suggests currencies with low-interest rates will rise and the vice-versa for currencies with high-interest rates. Currency movements can also shift without notice and be quite volatile on a regular basis. Borrowing in the Japanese Yen has been a popular strategy in recent years given interest rates in Japan have been at basement levels for many years now. A bank’s business model is actually relatively straightforward: It takes in deposits; pays an interest rate to individuals who have deposited money into bank CDs, checking or saving deposits; and then lends that money out. 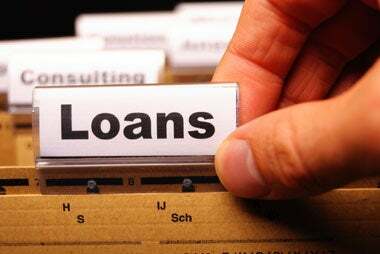 Loans can be made for residential and commercial mortgages, to start or expand businesses, or finance the purchase of a boat or car. The key is that the bank pays a lower rate than it earns on the loans it makes. Consumers can attempt to do the same thing. If the spread can be determined with any level of confidence, it can mean effectively borrowing for free and actually earning a return on the money borrowed. The best way to earn a spread is by keeping the initial borrow rate low. The best way to do that, besides having a lot of money, is to have a great credit score. Not all of the above strategies are going to be possible for borrowers, and the carry trade is fraught with hidden risks given the differentials that exist between interest rates and currencies. The fundamental goal is to borrow low and earn higher rates of returns on those borrowed funds. If you can, borrow at a rate below inflation. Any business venture should have a goal of earning more than it costs. Consumers can look to do this at a personal level with their hard-earned capital.